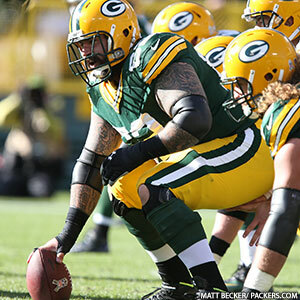 As Packers.com’s Mike Spofford mentioned in his Friday story, Evan Dietrich-Smith is taking over at center for Jeff Saturday for Sunday’s game against Tennessee. Ryan Grant will also get the start at running back in place of Alex Green, who is still recovering from a concussion. The following players have been declared as inactive for today’s Green Bay Packers-Tennessee Titans game at Lambeau Field. Starting lineup changes: On offense, #89 James Jones will start at wide receiver for #87 Jordy Nelson. #25 Ryan Grant will start at running back for #20 Alex Green. 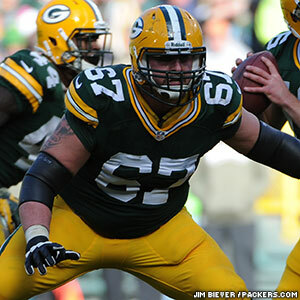 #62 Evan Dietrich-Smith will start at center for #63 Jeff Saturday. 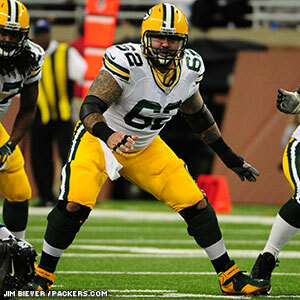 On defense, #96 Mike Neal will start in place of #98 C.J. Wilson at right defensive end. Starting lineup changes: On offense, #67 Mitch Petrus will start at LG for #61 Fernando Velasco. Velasco will start at C for #62 Kyle DeVan. #68 Byron Stingily will start at RT for #66 Mike Otto. On defense, #59 Tim Shaw will start at MLB for #52 Colin McCarthy.